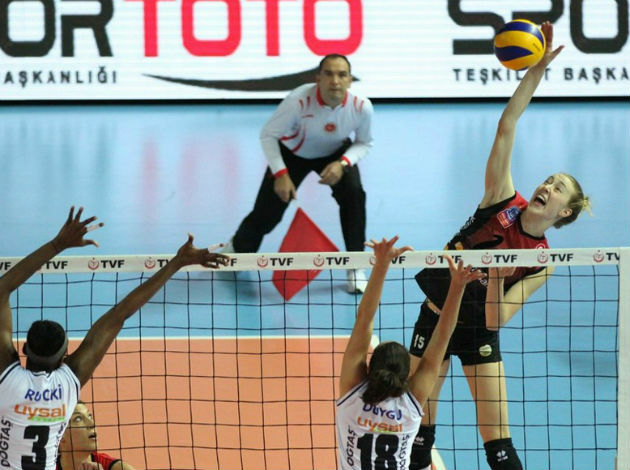 Two Turkish teams have scored victories in the third round of the CEV Champions League. The reigning champions Vakifbank have defeated the French team Beziers in straight sets, after having played a difficult first set. Lonneke Sloetjes (14 points), Kelsey Robinson (12 points) and Zhu Ting (10 points) created the third win of Guidetti’s side in the Champions League. Melissa Vargas again had a great display in the CEV Champions League, pushing Fenerbahce to the 3-0 win over CSM Bucuresti. She has scored 26 points, while her teammate Samantha Fabricio contributed with 18. Also, Stuttgart, Scandicci and Budowlani Lodz have scored very important victories to stay in the race for the playoffs.